The large number of new antitumour antibiotics that have been discovered and evaluated since the first volume of The Chemistry of Antitumour Antibiotics was published in 1978 are described in this up-to-date work. It covers the results of mode and action studies which have benefitted from high-field NMR, including 2-D techniques, computer modelling and DNA sequencing methods. The volume also notes how biosynthesis has been helped by NMR to follow the incorporation of compounds containing stable isotopes. 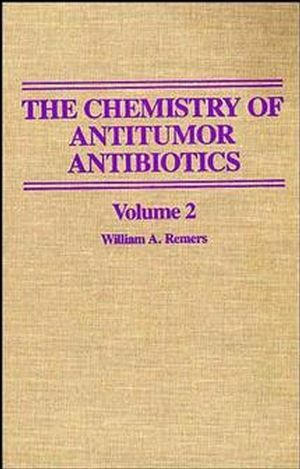 William A. Remers is the author of The Chemistry of Antitumor Antibiotics, Volume 2, published by Wiley.